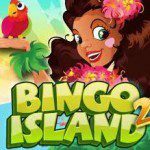 Earns tons of rewards, gather collectibles to make your own PartyLand, and advance quickly by using Magic Boosts in Bingo PartyLand. There are even themed rooms where you can play up to 8 cards of Bingo! 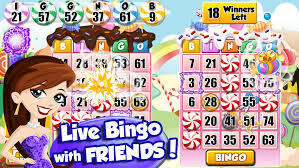 Bingo PartyLand was published by DeNa gaming, under a company called “Mobage”. They have been active for several years and have an impressive portfolio containing games like “Marvel War of Heroes” and “Star Wars: Galactic Defense”. • Every room has a theme. With every update, there will be a new theme added, especially if it’s nearing the holidays. Enjoy special Christmas and Halloween themes! • Play with your friends and with people from all over the world. 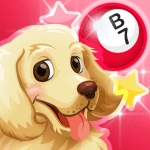 • There are “magic boosts” that will help you get to a successful bingo faster. • You can build your own “PartyLand attractions” by putting together collectible pieces that you can find hidden in the themed rooms. 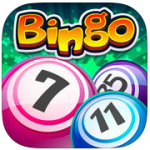 • You can play up to 8 cards of Bingo. 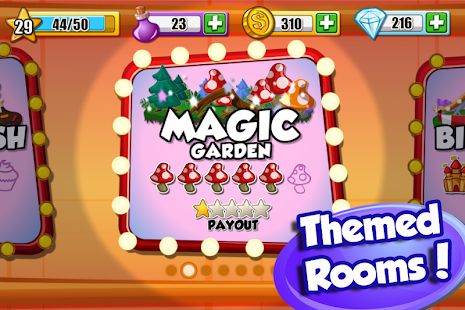 • The more you play and the higher your level gets, the more rooms you unlock. • Spin the Wheel of Fortune every day and get a chance at winning “Jackpot Rewards”. 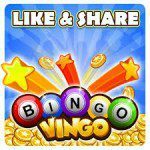 In every bingo game, you will find a currency that is being used to buy cards, collectibles and more. 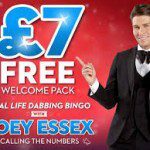 In Bingo PartyLand that currency is called Rubies. You can earn these rubies by hard work and dedication, or you can opt for the easy way: buying them with real money. The lowest amount of rubies is available for 1.99 US Dollars, whereas the largest “sack” of rubies will go for 49.99 US Dollars.